The Professional Regulation Commission (PRC) and the Board of Mechanical Engineering released on Friday night, October 9, the complete list of passers for September 2015 Mechanical Engineer board exam. Micah Baculot Arceno from University of Cebu (UC) topped the board with 88.45 percent grade. 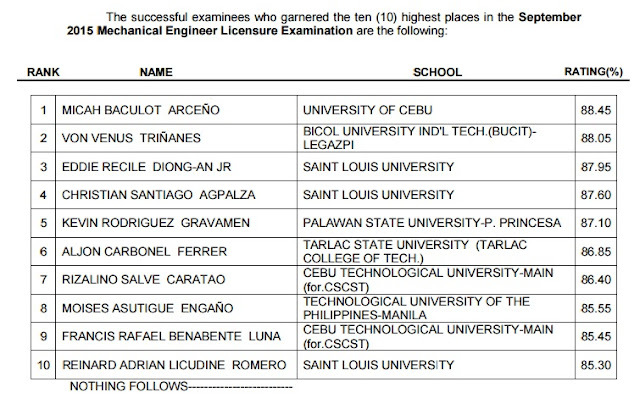 Bicol University Idustrial Technology - Legazpi alum placed second with 88.05 percent rating.